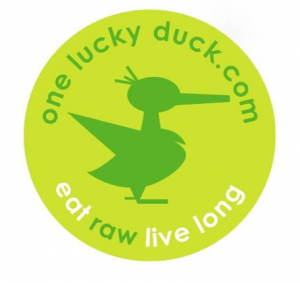 Raw vegan One Lucky Duck Juice Bar recently opened a location in San Antonio. The restaurant is associated with Pure Food and Wine in New York City. The San Antonio location serve juices, salads, and snacks as well as carrying a small selection of raw food groceries, cosmetics, clothing, household goods, and pet supplies. The San Antonio juice bar is located at 303 Pearl Parkway. This entry was posted in Uncategorized and tagged san antonio by mollyjade. Bookmark the permalink.